The Durand Academy Trust was forced to write off assets worth more than £1.6 million from its failed boarding free school project, it has been revealed. Accounts for the 2017-18 academic year show the trust has “written off some leasehold improvements and fixtures and fittings” at its satellite boarding school in Sussex, with a net value of £1,656,323. The trust is in the process of being wound up after having its funding withdrawn by the government last year, following a long-running dispute over its finances and allegations of conflicts of interest over the running of commercial leisure facilities. Durand Academy in Lambeth, pictured, the trust’s only school, was rebrokered to a new sponsor in the summer. Durand’s leaders today blamed the Department for Education for having “failed to deliver” on more than £17 million in promised funding to help support its boarding school project, which was the first of its kind in England. In a move that was enthusiastically supported by former education secretary Michael Gove, Durand opened a satellite boarding school on the site of the former St Cuthman’s school in Sussex in September 2014. The boarding school catered for pupils in certain year groups from Durand’s Lambeth site, and was the first in the country not to charge parents for boarding services. 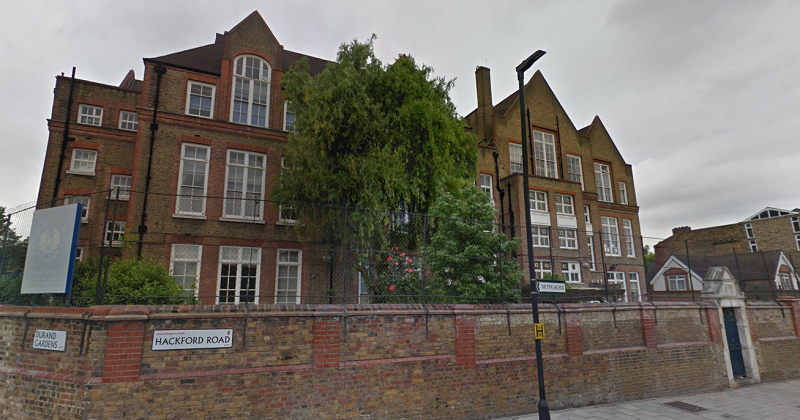 However, after Durand repeatedly failed to secure planning permission to develop the site, the DfE withdrew its funding offer, and the boarding school closed in September 2017. The accounts said the assets written off were mainly “immovable” and therefore could not be taken after the boarding school closed. Schools Week understand it relates largely to classroom, kitchen and dining equipment. A spokesperson for the trust said it was “hugely disappointed that the DfE failed to deliver on their promise of £17.4 million, thus causing the closure of an excellent boarding facility which would have enhanced the futures of inner city children”. Durand initially ran the boarding school with money made from commercial leisure facilities on its Lambeth site. However, Schools Week reported in February 2016 that the satellite boarding school was in a deficit of £476,000 after just one year, after it spent far more than the amount it received from London Horizons, the company set up to run the leisure facilities on Durand’s Lambeth site. Durand’s accounts also show that the trust had to pay legal costs of £209,153 to Ofsted after the inspectorate won an appeal against a decision by the High Court to quash a report which had found the Durand Academy to be ‘inadequate’. The trust also paid out £331,482 in legal and professional fees last year, almost half of the whopping £623,620 spent the year before. Ofsted’s report was finally published on December 21, more than two years after inspectors visited. It revealed that provisions for the protection of pupils at the boarding school, their experiences and progress and the impact and effectiveness of leaders and managers at the institution were found to be ‘inadequate’. Durand Academy reopened as Van Gogh Primary School in September, under the stewardship of the Dunraven Educational Trust. However, there is still uncertainty over the future of parts of the school’s site, which, like the boarding school, are still owned by Durand Education Trust, a separate company set up by the school’s former leaders. The parliamentary public accounts committee heard in November that most of the profits made by leisure facilities on the south London site are still being paid to the school’s former head Sir Greg Martin, who quit in 2015 entitled to an £850,000 “special payment” under a contractual agreement. He was due to receive an extra £1 million, but the Charity Commission intervened to ensure the level of remuneration was “reasonable”. Accounts show Durand paid out £92,117 in redundancy payments in 2017-18, following a reduction in the number of teachers from 56 to 36. The trust had paid out £215,483 in 2016-17. The DfE and Ofsted were contacted for comment.